An all-day boost with transactions, analytics, and loyalty programs. Speed up the line and stop stressing so you can get back to roasting. Learn why coffee shops love Upserve POS. Espresso, tea leaves, milk and more. Know what ingredients are driving the most revenue – and which could perform better. Upserve’s coffee shop POS system delivers detailed restaurant analytics directly to your phone. 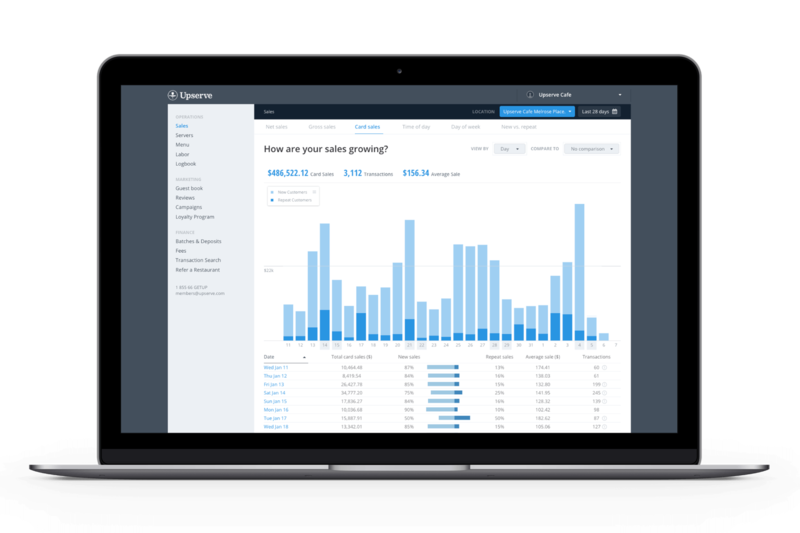 Use our detailed daily revenue report to keep your menu fresh and your inventory topped off. "Overall an excellent product. Have come a long long way in a short time after acquiring the old Upserve. Ease of use, easy customer service and easy set up all in one system so you don’t have to worry about anything"
"Easy to use; very intuitive. Strong reporting features... I use the integration feature with gift cards and that's pretty seamless. The reporting features are very strong and detailed. Much more here than most people need. Customer service is great..."
"Great System & Support Quick and Easy to use system. Support is by far the easiest to contact as well at all points in the day." Repeat customers are your greatest source of revenue. So skip the tattered loyalty cards and transform their credit or debit card into a built-in loyalty system. No need to worry about stamps or punches – points are automatically added upon every swipe. We’ll even send branded flyers and signs straight to your shop, so you can market the new program and get people signed up – entirely for free. Have you read the latest reviews? In a world that moves at lightning speed, we’ll help you keep up with the conversation. Spend less time scouring the web for brand mentions and access your entire online reputation from a single mobile app. Our reputation management features provide a comprehensive overview of the ratings, reviews and comments steering your success. Serving up coffees and croissants is simple. Your coffee shop POS should be, too. Instead of paying for unnecessary add-ons and complex functions, our flexible POS features are designed to help you speed-up and de-stress. Customize the app’s main page, putting popular drinks right at your fingertips. No matter the size of your coffee shop, iPad POS software should be easy to learn. Upserve POS for coffee shops is easy to understand and implement across every shop and store. It also features a training mode, so onboarding your staff is a piece of cake. 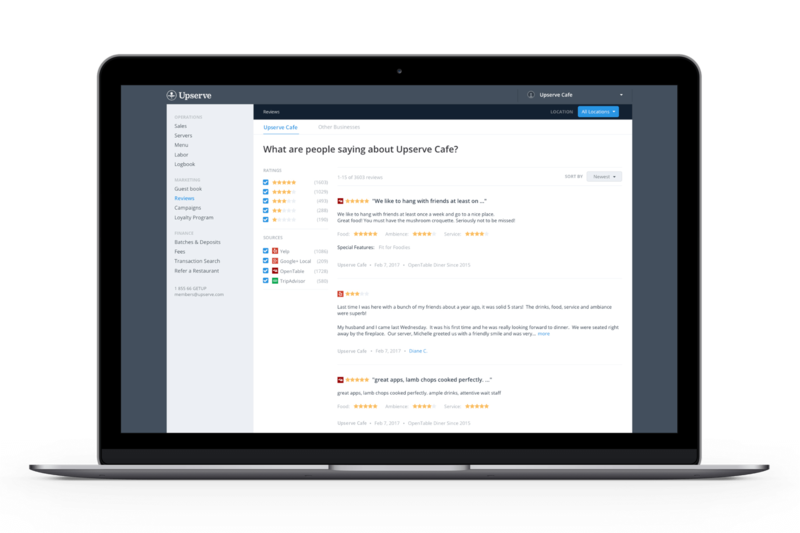 With an intuitive interface that just makes sense, your baristas can get back to the grind. When customers walk into your shop, they’re not just looking for an energy boost. They want their coffee served with convenience, quality, and rewards. In a market that drinks 3 cups of coffee every day, you need coffee shop POS software that does all that – and more. 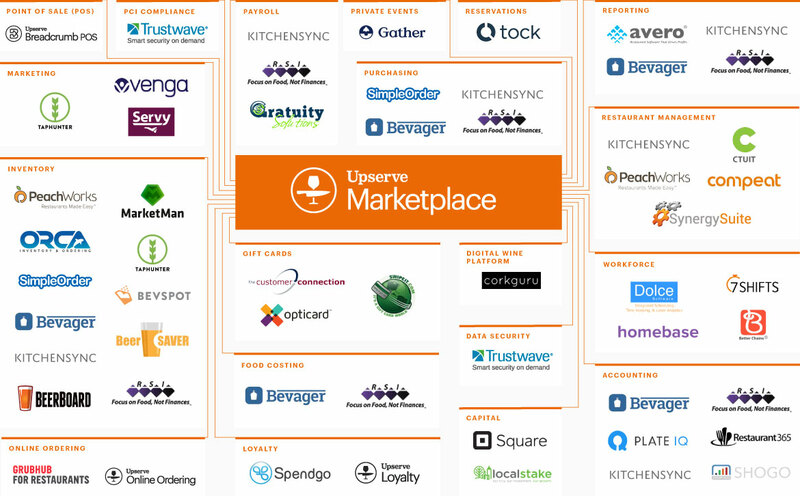 The Upserve Marketplace is designed to provide you with premium integrations for all of your coffee shop management needs. From Bevager to TapHunter, our integrations keep you steeped in success. Our coffee shop POS gives you insight into the trends and preferences driving your sales. 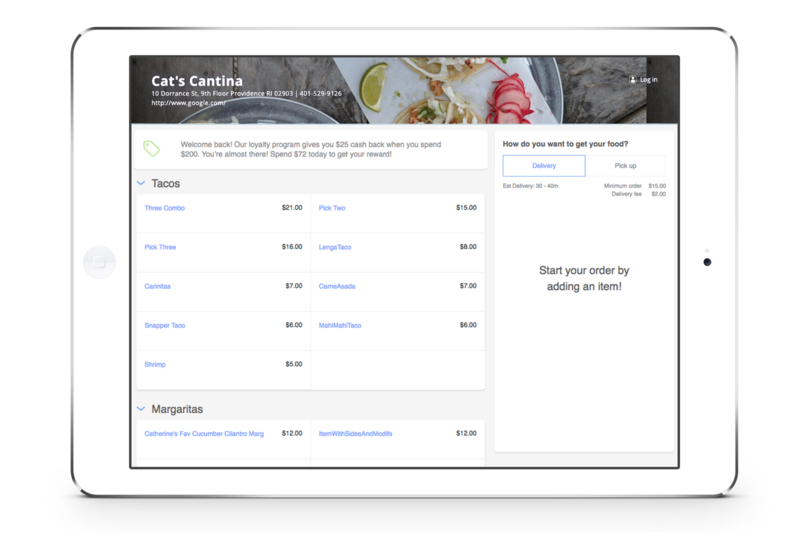 With our menu intelligence integrations, you can put that knowledge into action – instantly. Whether its a fresh-brewed roast or something that’s out of stock for good, you can make live changes to your menu. They’ll update in an instant across your website, social media, and everywhere else it matters. Your lavender latte sells out by 10am every morning. But do you know why? Our POS system integrates with leading restaurant management tools that explain the driving force behind every customer action. From tracking your regulars to looking at month-over-month trends, you’ll find out the driving force behind every last cup. When you know what makes your customers smile, you can make better decisions that keep the ball rolling. Don’t let safety regulations bog you down. Make sure you’re following the rules with Upserve restaurant POS integrations for food safety and compliance. These integrations make it easier than ever to meet HACCP Compliance. From the butter in your cooler to the mixer on your shelf, we’ll keep tabs on both food and equipment.